Is This the Greatest American Novel Ever? 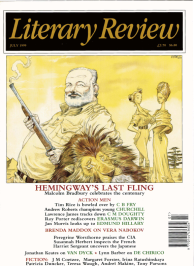 In the ebb and flow of modern literary reputations, Ernest Hemingway’s is one that, over recent years, has markedly ebbed. This is no doubt partly because of the machismo of his narratives and literary character, which has taken many hard knocks in our politically corrective, gender-rebalancing age. But there was always more to it than that. As Cyril Connolly put it in the fine obituary he wrote in The Sunday Times on Hemingway’s death in 1961, his work, especially the later work, was flawed by a warp in his character, ‘a sadistic facetiousness which went with a tendency to sentimentality’ and which encouraged ponderous humour, anti-intellectualism, and a bloated exploitation of his literary success.